Start here to become a PADI Assistant Instructor. Share your passion with others and help them experience the same joy you have for scuba diving. If you like people, have a passion for scuba diving and want an extraordinary life – become a PADI Instructor. Teaching scuba diving allows you to share your love of the aquatic world with others while doing what you enjoy. 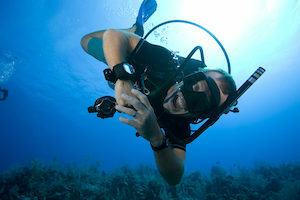 PADI Open Water Scuba Instructors and PADI Assistant Instructors are the most sought-after dive professionals around the world. They’ve completed the program that sets the standard for training dive professionals. You earn a PADI Instructor rating through hard work and commitment, but you’re rewarded with a job that lets you share incredible underwater adventures with others – transforming their lives for the better and enriching yours.